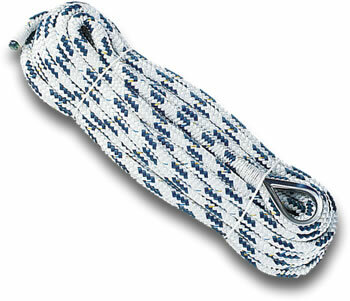 These excellent anchor lines are manufactured from braided polyester rope with a lead core at one end of the rope. This means that you will not need chain, which can be very heavy and difficult to handle, with your anchor. The lines are very supple and non kinking and will be far kinder to your top coat than chain can be. The thimble that is ready spliced in one end makes attaching the line simple. Storage and handling is made ultra easy by the whole thing coming in a handy storage bag.